This is part of my “best of the best” series, where I link to outstanding resources from authorities on a specific money-making topic. If you have any resources or ideas for future posts, don’t hesitate to contact me. Since I started this blog, I have gotten a lot of questions about search engine optimization. This is because one of my businesses is buying and optimizing websites to rank on the first page of Google for various keywords. If the keywords are valuable, people may buy a product or service from one of my sites, and I’ll be paid a commission. Over time, this can add up, and can generate a pretty decent income. To many people, search engine optimization is a mysterious thing. But it’s not actually a very complicated concept. Simply put, search engine optimization (or SEO for short), is a term for all the principles in designing a website that Google ranks highly. If you do it right, search engine optimization is a great way to get new customers and leads day after day, month after month. So how did I learn SEO? Well, I could write a huge post on it, but I don’t want to reinvent the wheel. Instead, here’s a list of the best (free) resources available to learn SEO. Hope you find them helpful! FAQ on Search Engine Optimization: http://www.warriorforum.com/adsense-ppc-seo-discussion-forum/196883-search-engine-optimization-frequently-asked-questions.html. This is really the best starting point for learning the basics of Search Engine Optimization. In this thread, you’ll learn exactly what different terms mean and the major areas that Google emphasizes in determining rankings. How To Build BackLinks and Dominate Google: http://www.viperchill.com/link-building/ Glen Allsopp over at ViperChill runs an amazing blog on viral marketing, and most of his posts are very in depth. Link Building is probably the single most aspect of “off-site” optimization, and Glen does a great job as always. Matt Cutts’ Blog (http://www.mattcutts.com/blog/): Matt Cutts is a Google Engineer who has been with the company from the early days. Now, his main focus is educating the public on best SEO practices. Since he is a spokesperson for Google, his advice should be taken very seriously. Check his blog frequently for updates on what is going on. The Simple SEO Strategy: http://thinktraffic.net/simple-seo-strategy. This is a very simple guide to the fundamentals of keyword research, which is an important component of any good SEO strategy. Definitely a must-read and extremely thorough. WordPress SEO http://www.viperchill.com/wordpress-seo/: Another great article from Glen. WordPress is a terrific way to get a website started at very low cost, but there are a few things you should do to improve search engine traffic. Glen shows you step-by-step exactly what needs to happen. Farmer Algorithm Update: http://theresmoneyeverywhere.com/googles-farmer-algorithm-change/ - this is actually an article I wrote here a few months ago, talking all about Google's major algorithm changes. There's a lot of valuable information and analysis here on why Google made the changes it did, and what to expect going forward. Link-Building: http://searchengineland.com/library/link-building - ok, this isn't an article, but there is basically a whole library of terrific resources on how to effectively build high quality links to your site. Definitely a must-read. Are there any other articles or resources on SEO that you've found helpful? Please mention them in the comments. In 1948 a young man from India was working as a gas station attendant in Aden, a small town in the Middle-Eastern country of Yemen. In 1958, the same young man returned to India to start his first company. It grew, and grew, and grew some more. In 2002, the once young man had become wealthy. That year, he died, leaving his fortune to his two sons. A fortune of nearly seven billion U.S. dollars. That man was Dhirubhai Ambani. After his death, his two sons, Mukesh and Anil, decided to split the family business into two equal parts. Anil took over the entertainment and financial arms of the company. His goal was to build an international media empire, fueled by glitz and glamour. Mukesh took over the more traditional businesses, such as energy, pharmaceuticals, and manufacturing. His company, Reliance, emphasized discipline and process. Today, Mukesh is nearly five times richer than Anil. This was interesting…eight years ago, the brothers were in the exact same place. How was it that one brother had done so much better than the other? I was resolved to find out. Sometimes, boring business is good business. Sure, media and banking are glamorous, but you can often make more money in areas where there is lots of demand but fewer talented people. Mukesh realized that there were certain things that everyone would always need, and invested accordingly. He focused on building businesses in pharmaceuticals, energy, and textiles. These businesses didn’t catch the attention of the media, but they consistently brought in a tidy profit. On the other hand, Anil focused on building up assets in complex financial funds, film studios, and high-end real estate. For awhile, these investments did well, but in 2008, the house of cards started to collapse. Anil had borrowed too much money to finance businesses that weren’t profitable, and he eventually had to take billons of dollars in losses. Reliance was successful because it focused on its strengths. 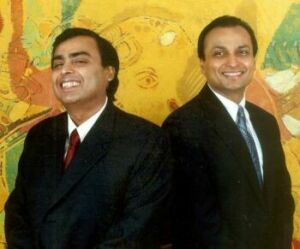 Mukesh knew that Reliance had grown because of talented managers and a strong corporate culture. He also knew that its continued success would depend upon these things. Therefore, Mukesh went out of his way to hire talented managers who would help steer the business in the right direction. He was very aggressive in providing excellent incentives to foster long term growth, and did everything he could to retain the best people. To Mukesh, a good manager was the biggest asset in growing a business…and it paid off. Mukesh Ambani knew that he couldn't run and grow a $100 billion company without some high-quality help. After taking over his share of the business, Mukesh started headhunting top executives from prestigious firms throughout the world. He reasoned that the best people weren't actively looking for roles; they would be rising stars in another company and it was his job to sell them on joining Reliance. Within a few years, he had recruited top talent from the best universities around the world and from many of the top global corporations. He made it a point to sit down personally with each of these executives, assess their talents, and figure out how they could maximize their impact within the organization. Moreover, he wasn't afraid to pay top dollar for the best people. It might be tough to write those big checks, but he knew that it was an investment that would produce great rewards. And it did. A few months ago, I was sitting down with the CEO of a highly profitable, rapidly growing tech company in Silicon Valley. At the end of our lunch, I asked him one simple question: what is your long-term goal with this business? 3) Cultivate and retain the best people. It sounds simple, and it didn't really resonate with me at the time. But as I read about Reliance, I suddenly realized that this is what it was all about – just three simple keys to business success. Easier said than done for sure, but it's amazing how focused we get on stuff that doesn't matter. Reliance proves that these three simple rules won't just make money, but can eventually scale into a large, profitable business. I was having lunch with my old boss a few weeks ago. This guy is one of my heroes; a private investor who made more than $30 million for himself through a series of disciplined investments. The interesting thing is that he’s not even that smart, or uniquely skilled. He’s not even a brilliant leader. It’s simple: he’s able to invest without emotion. When he looks at opportunities, he is able to focus on one thing, and one thing only: return on investment. He somehow manages to subordinate his own feelings and zone in on the thing that matters. At first, this sounded crazy to me. After all, emotions are a part of life. This also applies in business. You want to make the decisions that are best for you and your company, not the ones that simply make you feel good in the moment. This is the only surefire path to making the money that you deserve. Thinking Distortions are basically mind tricks. 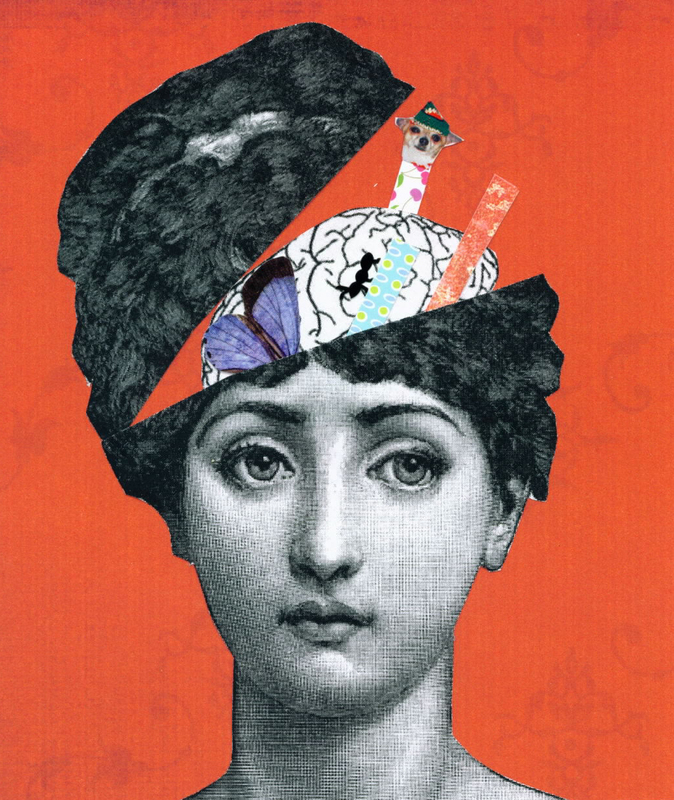 Our brain tries to confuse us by playing to our emotional side. “It’s my way or the highway” Sometimes we see things only in black and white, when there are shades of grey. Most situations aren’t all or nothing, and thinking this way can make us overlook the best options. Don’t be afraid to compromise just because you aren’t getting everything you want. Generalizing Negativity: It’s easy to think negatively when something bad happens. We see one bad event as a precursor or result of another, and before we know it, our whole life looks like a mess. This is often a self-fulfilling prophecy; our negative thoughts lead to more bad events. Don’t let this happen to you. Instead, try to look at situations more holistically, analyzing both the good and bad in every situation. Ignoring the Positive: It’s easy to take positive things for granted – a great relationship, a good job, a healthy body – but we often dwell on what’s wrong in our life. This is a waste of time and energy and makes us unhappy. It can also lead to some bad decisions. Again, if you find this happening to you, take a little time to honestly evaluate the big picture. Things are rarely as bad as they seem. Jumping to Conclusions: This is a common mistake. It’s easy to make random assumptions and use these “conclusions” to come to a decision. We make assumptions about everything –what others are thinking about us, how strong we are at a given skill, etc. But this is a trap. You are making a choice without knowing all the important facts. Instead, gather relevant information, define your options, and evaluate all the possible decisions. Then, and only then, take action. Magnification and Minimization: We frequently exaggerate the importance of things that don’t really matter, instead focusing on the things that aren’t relevant. You can avoid this by taking time to define the things that are most important to you. This will help you zone in on the information and choices that matter most. Emotional Reasoning: Always remember that emotions are temporary. Therefore, they don’t actually reflect how things are. Don’t try to solve problems when you’re angry, sad, scared, or even excited and enthusiastic. Instead, take some time to get yourself back to neutral. Then, you’ll be in a better mindset to evaluate the situation. Labeling: It’s very natural to place labels on other people. They help us organize our thoughts about people and situations – for example, if Jenny talks a lot when I first meet her, I’ll label her as an “extrovert.” The problem is we often make assumptions too quickly. First impressions aren’t always correct. Moreover, people and situations change over time. Always be on the lookout for new information and be willing to adapt your labels accordingly. Personalization: We tend to hold ourselves responsible for the good and bad things in our life. However, there are many events (both good and bad) that we have no control over. If something bad happens that’s out of your hands, don’t sweat it. The flip side is also true – if you win the lottery tomorrow, don’t give yourself credit as a financial genius. It’s dangerous to think that luck isn’t a part of life. 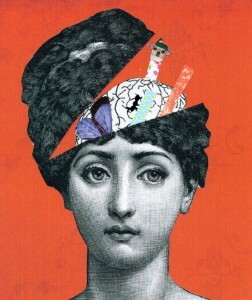 When was the last time you had a thinking distortion? How did you react? “Over nothing! Are you kidding me?” and he exploded again. Whoops! Fortunately, I managed to calm him down again. Over the next half-hour, we talked through the issues he had with his boss and started to come up with some solutions. It’s easy to get angry. Whenever something is wrong, anger is the first thing we turn to…and sometimes it can be a good thing. Anger can be a great motivator for change; whether it’s making a broad social impact or simply working towards a better life for you and your loved ones. My own story: Back in college, I received a particularly low grade on an exam. Naturally I was in a really bad mood and wanted to take it out on someone. I ended up getting in a huge, meaningless fight with my girlfriend about some silly thing; completely unrelated to my actual frustration. One bad result led to another bad decision. Don’t get caught in a downward spiral. Negativity and rashness breeds more of the same, and it’s incredible how a few deep breaths can help alleviate your anger. Don’t let your emotions drive you to bad decisions. Before you do anything else, you should take some time to calm down. Remember that anger is a reflex. It’s amazing how a few deep breaths can make us see things more clearly. No one can find the rewind button, boys. Sometimes we just wish that we’d done things differently. We all make mistakes, bad decisions, stuff we shouldn’t have said and things we shouldn’t have done. And sadly, there isn’t any magic time machine that’s going to change the past. Take a minute to understand why you were angry. Was it something trivial or does something really need to change? Maybe it’s a combination of both. Understanding the source of your anger will help you figure out what you need to do next. If you don’t know why you’re angry, you need to find out quickly. We often get emotional after a setback. This is where it’s important to take time not to just rush into another bad decision. Remember that the past is the past; don’t let how you’re feeling right now negatively affect your future. Perhaps you have a good reason to be angry, but take a moment to think about how bad a situation really is. Most of the time, things are not nearly as bad as they seem. I was angry at first, but as it turned out, they were absolutely right. That particular job would not have been a good fit for me, and they were looking for someone who wanted to make it a career. Instead, I went another direction, and today things are going pretty well. In conclusion, we all get angry sometimes. It’s only natural. But learning how to control it and use it effectively is a valuable skill. The next time you feel the urge to overreact, follow the steps above and see how you feel. 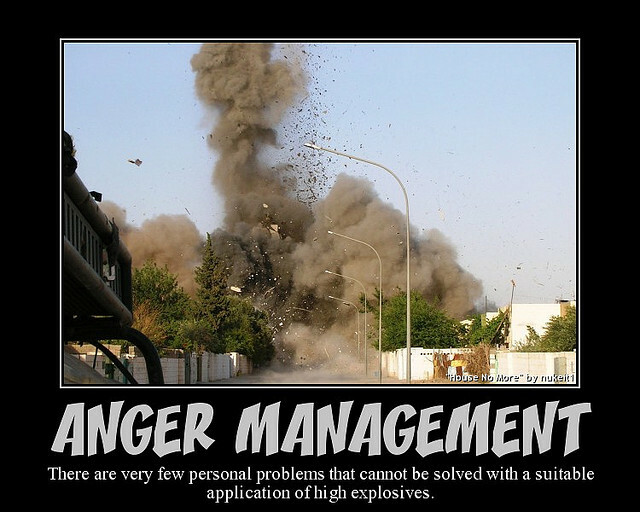 Over time, you’ll adapt to a more “anger-free” lifestyle. Calm and collected is ALWAYS more impressive than angry and condescending. If you can take the high road, people will respect you for it. This will translate into a better personal brand, and of course, a long-term increase in earning potential. How do you control your anger? Please share in the comments. I was recently having lunch with a friend who is making a VERY nice living as a consultant. In a time when people are cutting costs, he’s got a jam-packed schedule charging $300-$500 per hour. When I asked him about how he stayed so busy, he responded with one word: conferences. Conferences? Interesting! I’d been to a few before, but they haven’t really led to new money-making opportunities. What was I doing wrong? This sounds like a no-brainer, but it’s easier said than done. We are naturally gravitated towards our friends; the people we know and trust. But that’s not why we came to the conference. We go to conferences to meet new people. You have 2-3 days to accomplish this, so focus on it while you can. There will be plenty of time for your friends afterwards. Most conferences will have many thousands of people. It is unrealistic to meet them all. Instead, try to identify a group of people with whom you’d like to connect. These might be influencers, business partners, or prospective clients. The important thing is to go in with a strategy. When you engage someone in conversation, make sure that they remember you. If possible, see if you can arrange to continue the conversation over coffee or dinner. This gives you a better chance at standing out. It’s much better to build personal relationships with a few people who can help you than to have meaningless conversations with hundreds of attendees. Most of the sessions at conferences aren’t that valuable. You’ll hear a lot of general information and maybe get to meet the speaker, but that’s about it. The real value of these events is in the social parties. This is where most leads are generated. Go to as many as you can, and focus your energies on these events. 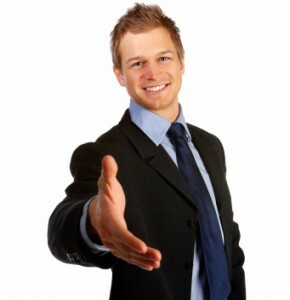 People are much more likely take interest in you if you are introduced by someone they know and trust. This was a technique that I used at BlogWorld last year. I knew almost no one at the conference, but randomly bumped into a couple of influential people on the first night. After grabbing a round of drinks, they happily introduced me to many more valuable contacts. This has helped me open doors that would have otherwise remained closed for a long time. I talked about demonstrating value in a previous post, but one mistake I made was not emphasizing the importance of doing it right from the beginning. People are busy, and their time is precious. The last thing they want is to waste time on someone who cannot add any value to them. That is why it is important to have a crisp, effective elevator pitch. You are much more likely to stand out if you can demonstrate value right off the bat. Don’t be modest here! Make sure people know why you and/or your company is totally awesome…and most importantly, how your awesomeness will be useful to them. For some reason, people think it’s ok to run out of business cards at conferences…or not even bring them at all. To me, this makes no sense. Why would you waste time talking to someone if you don’t even have a way for them to connect with you later? Moreover, it comes across like you are unprepared. An additional tip: It’s a good idea to make your business card stand out a little bit. Some people put their pictures on there, while others get them made out of plastic instead of cardstock. This a good way to make sure that your card doesn’t get lost in a huge stack. You might do everything right at the conference, but it means nothing if you don’t follow up on it afterwards. Send out e-mails promptly and make sure to suggest follow up action points. Again, it’s important to demonstrate value in your e-mails. 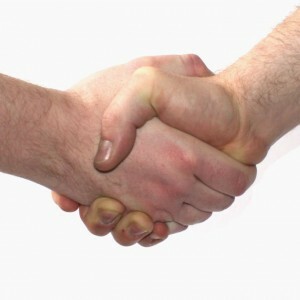 Offer people access to new connections, or introductions to new business. This dramatically increases the probability of getting an enthusiastic response. What techniques do you use to network effectively? Seriously. It's really comfortable. If you don't have one, I highly recommend it. But what's more interesting to me is the fact that it has sold more than $100 million since launching nearly three years ago. This begs a simple question: what are they doing right? The Snuggie is actually a pretty good product. It delivers on what it promises: a simple, comfortable blanket in which you can easily walk around. Moreover, it made from a very soft material that's easy to keep clean. Calling the product a "Snuggie" was a stroke of genius. It brands the Snuggie as a "confort object," almost like an adult version of a stuffed animal. Contrast this to the "Slanket," which is basically an identical product, but hasn't sold nearly as many units. The name "Slanket" does not roll off the tongue. It definitely doesn't sound like something comfortable. The lesson here: a great name counts for a LOT. Invest the time and money needed to make the right choice. Otherwise, you're just leaving money on the table. When I first saw this, I thought it was really stupid. Boy, was I wrong! Here's what happened: the "cheesiness" of the commercial led to tremendous mockery. Numerous comedians including Jay Leno, Ellen DeGeneres, Bill Maher, Jon Stewart, and Whoopi Goldberg started making fun of the Snuggie and it's ridiculous commercial. Of course, this was basically free marketing for the product, and led to enormous sales. In addition to this mainstream coverage, the Snuggie commercial led to hundreds of parodies on Youtube. Many of these parodies went viral, including the WTF Blanket, which received more than 14 million hits. The executives in charge of the Snuggie quickly realized that they were sitting on a goldmine. The product was original a "direct marketing" play; the idea here was to advertise on television and have people call in to order. But as demand skyrocketed, they realized they actually had a brandable offering. A few months after things started taking off, the executives cut a deal to sell Snuggies in traditional retail stores. They also mentioned this new availability in their ads. The result? Sales skyrocketed. Wal-Mart and other retailers were thrilled, and quickly renewed their distribution deals. The Snuggie execs also saw a creative new channel: pets! If people would wear Snuggies, why couldn't dogs? They designed a new Snuggie specifically for dogs, which itself generated millions of dollars in additional margins. For me, the biggest lesson is not to write off products that aren't going to change the world. They may not make a huge long-term impact, but they are still good ways to make lots of money. Many people assume that Snuggies (and similar products) are nothing but a fad. This might be true, but so what? Over its lifetime, the Snuggie has generated more than $100 million dollars in total sales…with little more than a simple product and a killer marketing campaign. It's not the next Google, but it's still a great result. Want to know how you can build a huge following for your blog or website within just a few months? I recently had the privilege of interviewing The Blog Tyrant, who owns a successful network of blogs and websites that make him a full-time income. Unlike most bloggers, The Blog Tyrant keeps his own identity a mystery. This has actually helped him generate a lot of buzz in the internet marketing world, and I'm excited to see how this experiment turns out. In this interview, he talks about his start in internet marketing, how to sell a blog, and some of the most important keys to his business success. When did you first get started with internet marketing? Was it accidental or deliberate? Picture a 16 year old kid addicted to fitness sitting in a high school computing class bored out of his mind. That was me. While other kids were learning HTML and completing projects I decided to write an eBook about bodybuilding and see if I could build a website to sell it. I had absolutely no idea what I was doing – I didn't even know what an eBook was. I sold one copy for $60. That was the beginning of it all. That was when I realized that I could make money online. As for staying motivated I have to confess I am really interested in the Buddhist idea of Bodhicitta. I learned about it on a trip to India. It means that everything you think, do or say should be done with the motivation to help other people. My goal for making money is to be able to do something useful with the opportunity – help out if I can. When you make work less about yourself and more about helping others it is easier to stay motivated. I'm still not very good at it though. Your blog is filled with valuable information about blogging and internet marketing, but features very little about you personally. What is the main reason for keeping this low profile? This is a question I get asked quite often. Pat from Smart Passive Income actually pulled me up on it in my post about how I got 11,908 visitors in three weeks. The reason is simple: I'm releasing my identity on a strategic date. Part experiment, part marketing decision. That's all I will say for now. Blogging is typically a VERY hard method to make money online, but you've clearly had a lot of success. What are some of your short-term and long-term goals with the blog? Are you interested in product creation, book-writing, etc? Blog Tyrant is only one of my projects. I always make a point to have several ventures on the go in case one dries up. But 2011 is going to be a very exciting year for readers of Blog Tyrant. I am releasing something that is going to help a lot of people take their blogging and income levels to the next stage. How do you "sell" a blog? Aren't the subscribers there to hear your voice? How do you find the right buyer, and ensure a seamless transition? This is a very good question and something that is relevant to many bloggers. When I first decided to sell a blog in college I thought this might be an issue. Someone paid $20,000 for my content and I thought the readers might be upset. In truth they didn't even notice. It depends entirely on the style of blog you write. For example, a lot of the bigger blogs like Problogger and Copyblogger are now mostly guest posts. If Darren Rowse or Brian Clark decided to sell them I don't think most people would notice, especially if they stopped in once a week or once a month to do a post or a video. But if your blog is really about you and your take on things I think the new owner would struggle. As for the right buyer, part of me wants to say "anyone who will pay for it" but its not true. You want someone who will carry on the goals of the blog. When I sold my blogs I made in a condition of the sale that they would not use the site for spam or anything unethical. If they did I had the power to take them to court. I think this is important for your readers. You get a lot of comments on your blog, and you make a point of responding to every single one. While this is good engagement, it also consumes a lot of time. How do you know that it is paying off? Great question. When it comes to business it is very important to measure your results. Blogging is no different. You need to split test ads, tweak designs and make sure your strategies are working. How do I know that replying to every comment is paying off? Because I am getting more comments, more subscribers and a deeper level of interaction from my readers. To be honest though, it doesn't take that long. I work from home full time so when I get a new comment I just write a reply. If they had the time to write it, I feel I should make the time to reply to them. It might not always be this way though. Especially seeing as the community at Blog Tyrant seems to be so packed full of wonderful people. This post on increasing conversions got over 250 comments, most of them from amazing readers helping each other out. In this respect I am very lucky because I know there are people reading who can take care of the new readers while I am asleep or away. Building an audience quickly is a challenge for any blogger, but you seem to have been more successful than most in just a few months. What are the three most effective sources of traffic for you? What is the single most important thing that someone should consider when building their brand online? What is the end result? What are you going to sell and to whom? That should be the starting point for developing a brand. Some people start a business or a blog and make things up as they go. It is a very clumsy way to proceed. If you start with the end result and work backwards you have a focus and you can make your brand fit the needs and wants of your target audience. It needs to be about them, not you. 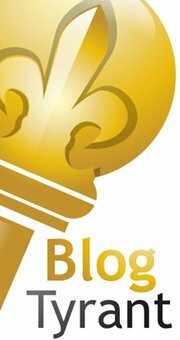 For more great articles on blogging and internet marketing, check out http://www.blogtyrant.com. No one likes hearing reasons why they should change. Let’s be honest: criticism blows. That’s exactly why the people who do listen usually make the most money.